After my brother's sudden death (my brother's rose) the family had a big problem: his 16 year old cat "Toby". (I'm sure you already guess the end of the story.) His daughter's couldn't take the cat, so I decided to adopt him. That was the last thing I could do for my brother! After a long drive in a small box poor Toby found himself in a strange house with strange furniture, strange people and strange smells and he was totally destressed. The first days he spent most of the time behind our sofa. (Meanwhile he discovered more comfortable places for his naps!) To make it even worse I noticed that his airways were not clear, so the first thing I had to do: take him to the vet! He got an antibiotic and an expectorant and his breathing sounds much better now. After living with us for more than one week I have the impression that he's feeling quite fine, in the last days he started to explore the complete house. I'm sure that he's still missing his beloved owner and his old home but I would love to keep him for a while, he's very calm and affectionate and he loves cuddling (and somehow he's a part of my brother that is still around)! - and suddenly I realized that I had missed a cat in my life! Thanks for featureing my cat in your collection! So sorry to learn that you lost your brother, Ingelore, my most sincere condolences! How nice of you to have taken his cat with you! Toby is beautiful, I think you will love him! Beautiful feature of cats! Thank you so much for having included my photo! So sorry for seeing it so late,Ingelore, I was in countryside and the Internet signal was very low. Thank you so much for your comforting comment! Sorry for the loss of your brother Ingelore... May he rest in peace. The rest of the story is sooo you !! Of course Toby will and can never be a replacement for Terry, but Toby being a reminder to you for both your brother and Terry is where it all comes together ! Since we all know cats decide who's the boss, your "new" arrival must be a highly intelligent and sensible one ! Ik hope you can and will be able to enjoy eachother for some more years now !! Thank you so much for your comment, Fred! Animals see then, what can not see man . The cat of your brother accustomed in your house, and now for him all be well ! He intermingles with your dead brother in other measuring, and intermingles with you in the real world . To you many thanks that took away to itself an animal, a cat will present gladness to you ! Thank you so much for your kind and comforting comment! I hope so, and thanks for your kind comment! You're very welcome, and thank you for your kind comment! Finally spring is here and we wanted to pick a bunch of flowers for you. 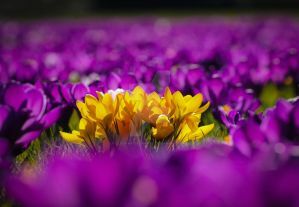 We've chosen the first colourful flowers that show up in our meadows and flower beds in spring: crocuses! Thank you so much for visiting my gallery, for your kind comments, for all the favourites, for your constant support! Summer is the hottest of the four temperate seasons, falling after spring and before autumn. At the summer solstice the days are longest and the nights are shortest, with day-length decreasing as the season progresses after the solstice. The date of the beginning of summer varies according to climate, tradition and culture. When it is summer in the Northern Hemisphere it is winter in the Southern Hemisphere, and vice versa. 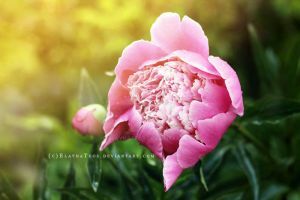 April/May featureThe theme we have chosen for this feature is the peony, the queen of May. We hope you'll enjoy our small selection.